Barn Stalls Update… and a Give Away! Sand… Sand… and more Sand!!!! Ok, if you ever have the notion to buy 13 yards of sand… DON’T DO IT!!!! So, now that I didn’t get that advice in time… we have 13 yards of sand to deal with!! I ordered it to fill in the box stalls in the barn. They are dirt floor and after many years of poop scooping the stalls were about 8″ too shallow and a bit bowl shaped. After adding about 3 yards of sand to the first box stall, we found the flooring to be too shifty… Cookie and Do’s hooves sunk in the sand and Do seemed to be a bit unsteady on his feet. We needed to add something to the sand to keep it from shifting beneath the hooves. We pulled up the stall mats and raked the stall level and smooth again. After many chats with others who own livestock, we decided to go with the advice to add shavings to the sand to help firm it up and create a stall floor that they can bed down in this winter and will wick away moisture. Now, she’s really blending the shavings into the sand… and the horse with bad fetlocks is staying way out of the way!!!! So, as you can see… the cow loves the changes to the stall!!! While we continue working on the barn we need a bit of help from you… WHAT ARE WE GOING TO DO WITH ALL THE EXTRA SAND???????????????? Some ideas we have… fill sand bags and put them on a pallet. We can load them in the back of the truck for weight this winter and traction should we get stuck in the snow… actually, we’ll put some in each of the three vehicles.. I look forward to reading the many ideas and suggestions! Happy Homesteading from the great state of Wisconsin!!!! This entry was posted in A New Homestead, Homesteading, How-To on September 18, 2012 by Homesteader's Supply. Got Sand???? Why Yes… Maybe Too Much!! We had 13 yards of sand delivered yesterday. I had no idea how much 13 yards of sand was and as I sat waiting for the truck to arrive, I silently hoped I had enough! Now I know that 13 yards is a dump truck load of sand and quite honestly… way too much! So, once the load of sand was dumped… we began moving wheel barrow load upon wheel barrow load into one of the box stalls. The stall was way too low and needed built up. I thought we were getting a mix of soil and sand, which would have packed down nicely… but we got beautiful volleyball court sugar sand… and A LOT OF IT! 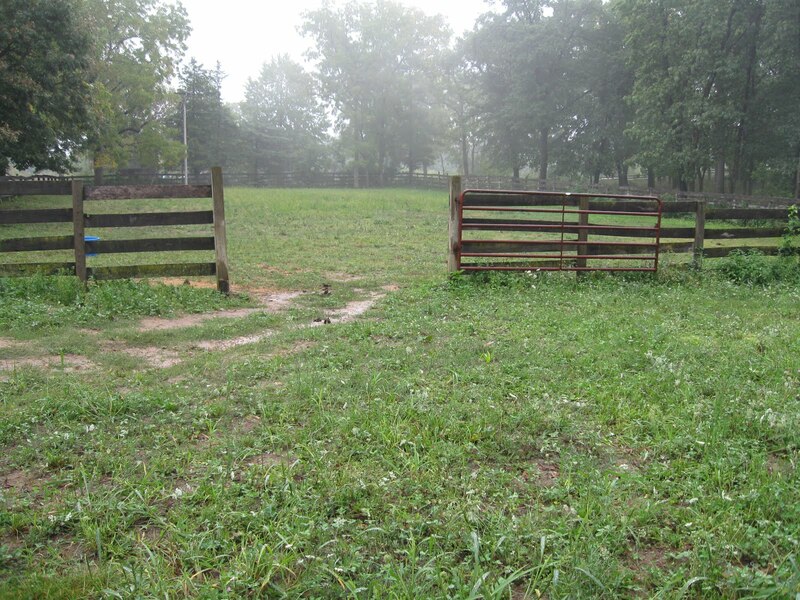 We moved and raked many yards of sand into the stall and it built up nicely… until the horse and the cow walked in… Now, I find myself out there raking the deep hoof marks flat and wonder if I haven’t made the first mistake on our new homestead. Perhaps sand wasn’t the best choice… now that we have enough to create an Olympic size volley ball court! It packs down well enough beneath rubber mats, but the moment hooves touch the bare sand (without a mat), there are big dig marks in it and the horse seems unsteady. (He had bad fetlocks) We are leaning towards digging about half out of the stall and putting shavings on top of the sand. I sat down and researched it a bit tonight and realized how rash of a decision I made. I called for top soil and woman I spoke to shared that many use sand to build up box stalls for horses. I planned on putting rubber mats down where the horse eats… and we feed hay outside… so while I wondered about sand colic, it wasn’t my biggest concern. My concern is that the cow and horse sink in the sand much like the wheel barrow does in the picture above. Have any of you used sand to build up a box stall? I figure we moved enough sand to build it up about 8 inches… maybe I should have done it in stages? It was damp when when moved it into the stall… as it dries I find that it is FINE FINE FINE sand. I’m really thinking we need to dig about half of it out and move that to the other big box stall and then put pine shavings on top of the sand. Ok, what are your thoughts?? 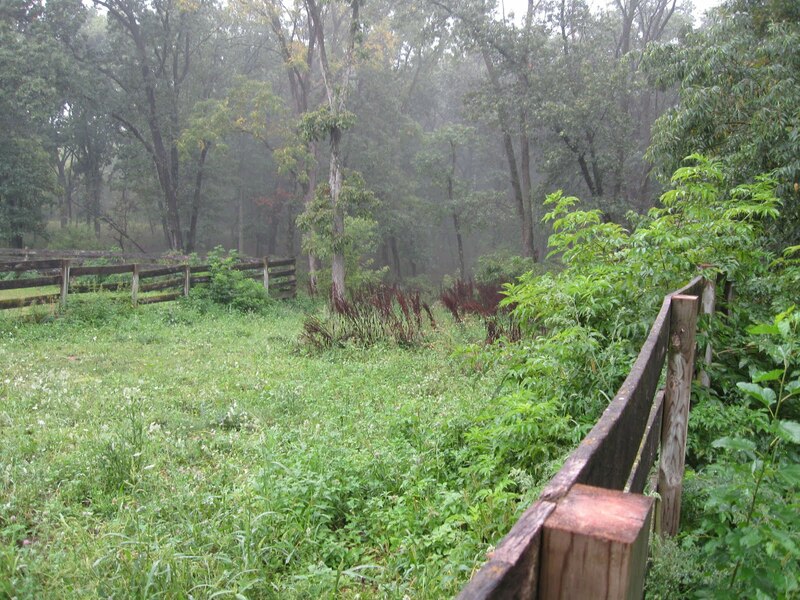 I had great feedback on the pasture blog and I’m working pulling the big weeds and mowing the rest down for a reseeding this winter/spring. Now… I’m looking to all of you to see what you think I should do with this sandy mess I’ve made for myself… and if I dig it out… any suggestions on what to do with the 13 yards of sand??? HAHAHA… If you look at the pictures below, you can see the depth the hooves sink into the sand. Maybe I am worrying about nothing and it will all work out well. I’ve read about how sand dries out the hooves too… so much I should have considered before delivery!! By the way – we will be filling up some sand bags for weight in the back of my truck when it snows this coming winter!!! 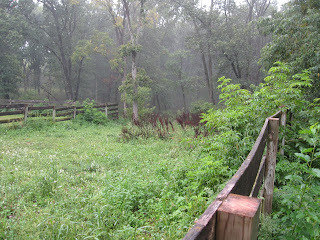 Any and all thoughts are welcome… and as always… Happy Homesteading!!!! This entry was posted in A New Homestead, Homesteading on September 13, 2012 by Homesteader's Supply.